As many of our followers know, we often provide color on many upcoming offers in the IPO market. Today, we are going to alert you to five new offerings that are or will become extremely newsworthy in the near future. Groupon (GRPN: NASDAQ) This web commerce company is slated to float $750 million in stock. Right now, the prospects for Groupon to trade at a premium remain stable, despite conflicting opinions on fundamentals. Goldman, Morgan Stanley and CS First Boston will act as the leads, so allocations should be very small for retail. The trade date is still undetermined, but we wouldn’t be surprised if the deal is consummated in the near future. Toys R Us (TOYS: NASDAQ) This is a company that obviously has name recognition, and a great brand often helps aftermarket performance. However, TOYS is a private equity deal and similar selling shareholder deals have done poorly in the last year. At this point, TOYS has an all-star group of underwriters, who are expecting to raise $800 million. Keep in mind that at this point, many IPO services are only looking for a small premium on the open. Dunkin Brands IPO (DNKN:NASDAQ) The company who owns Dunkin Doughnuts and Baskin Robbins is also a private equity deal, but DNKN seems to have a ton of interest, especially from retail investors. Dunkin Brands is looking to raise $400 million and by most accounts, the deal is expected to have a nice first-day pop. penny stocks news JP Morgan, Barclays, Morgan Stanley, BAC, and Goldman are at the top of the books and allocations will obviously be tight. Morgan and BAC might be the retail investors best shot at a small allocation. Zynga IPO – This could be the most anticipated in the IPO market since Google because of a lot of revenues that Zynga generates. They also have a loyal user base and have developed addictive games like Farmville and Cityville. The relationship with Facebook remains a question with institutional investors, but probably won’t interfere with the IPO being oversubscribed at epic proportions. Zillow- This web-based real estate information company is another in the IPO market with limited information. The stock symbol and trading date are yet to be determined, but it would surprise very few if Zillow traded before Labor Day. The offering will be small and Smith Barney will be acting as lead. Most feel Zillow will be extremely oversubscribed. penny stock news, IPO Market, and stock market research. Get IPO Market Updates from our FREE email list! As most of you know, we have seen a slew of red hot, tech-related IPO‘s in the past few months. In the next few months, we could see even more, especially if companies like Groupon, Twitter and Facebook come to market. Facebook alone could rise the tide of the entire NASDAQ and provide some cover for lesser internet related IPO’s to suddenly become successful if the mania continues. However, yesterday we were told a different story. The Oakland based internet radio company Pandora (P:NYSE) opened up at a large premium after being priced at $16. Now at the time of this entry, the shares have fallen below the IPO price, and that is generally not a good sign going forward. Chinese internet company Renren (RENN:NASDAQ) has recently been the latest example of a super hot IPO that’s fallen from high’s. Returns for some investors who have bought RenRen are similar to a penny stock trade gone. Shares of RENN are currently below $8. Now the Pandora IPO might be in a similar situation since the stock price is below $16 for two reasons. Many traders will take a flier on quality IPO in the aftermarket when shares get close to the offering price. They then set tight stop orders, but once those stops are run, the trade often becomes broken for the short term, and the bloom is off the rose. Other investors who have a longer time horizon all of a sudden become bargain hunters and shy away from broken IPO’s until they become so cheap, that they are almost forced to buy them. In simpler terms, buyers are looking for a deal, this factor is magnified in uncertain markets like we are in presently. At this point it doesn’t look like Pandora is at bargain basement levels yet, especially with their valuation concerns. Remember that the shorts can’t get borrows yet, So being a hero at these levels might unwise. 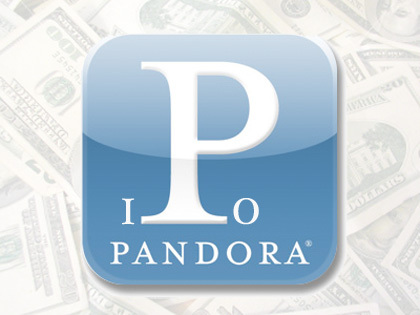 Pandora IPO (P:NYSE) came public today and became the latest internet based company to launch a successful IPO. The internet sector has shown us two incredibly hot deals recently, Yandex (YNDX:NASDAQ) being one and LinkedIn IPO (LNKD:NASDAQ) being the other. Both YNDX and LNKD skyrocketed on the first day of trading, only to fall back in subsequent sessions. penny stocks at 52 week low Will Pandora lapse as well? Maybe and here is why. Market conditions were much more favorable when YNDX and LNKD first traded. The current turmoil we are currently seeing in Europe could weigh on stocks and especially high beta names like Pandora. There are also the usual valuation concerns regarding this hot Pandora IPO. At today’s current share price, the Oakland based internet radio company. is trading at more than 20x sales. How soon will the Pandora IPO become profitable? Now on a growth basis, Pandora is very impressive. For the quarter ending in April, Pandora’s revenue grew to 51 million. Pandora also added 12 million new subscribers since January. However, figuring out how to monetize this growth is the million dollar question. During the same time period Pandora lost $9.1 million, and during an interview with CNBC today, CEO Joe Kennedy seemed somewhat vague, didn’t offer any guidance and wouldn’t predict when Pandora would become profitable. Ku6 Media Co., Ltd (KUTV:NASDAQ). is as an online video company in China, and it owns and operates ku6.com. The site is basically a social media site that operates an online video portal. Even though shares of KUTV have run from the low $4 range to almost $8, on the anticipation of the Renren IPO (RENN:NASDAQ) they have the potential to run higher. Renren is another Chinese Internet company that is in the social media space. The company has over 30 million use and their site renren.com appears to be stuck. Users spend over 7 hours a month there. It sort of sounds like a poor man’s Facebook. But what’s wrong with that ? 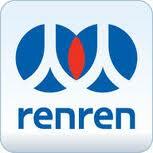 Any individual who mildly follows the market nows that shares of RENN will trade next Wednesday. penny stocks a good investment Even though the deal has over 50 million shares most IPO experts feel a two to three point premium, or even more is likely. The market cap of Renren IPO will be rough $4million at it’s suggested offering price. Now how do you play this ? Especially since IPO shares of RENN will be few and far between for retail investors. Institutions might sell stocks like Sina Corp. (SINA:NASDAQ) or Youku (YOKU:NYSE) simply to diversify, or they may look at cheaper sympathy plays like KUTV. Before I wrote this piece I scoured the internet looking for Chinese social media penny stocks to add to my list of stocks. Surprisingly I found nothing remotely close. However, that’s when I stumbled across KUTV. It closed on Wednesday with a market cap under $250 million, even after its recent massive gain. By no means am I saying to jump out tomorrow and buy shares of KUTV in the pre-market Thursday morning, but you should definitely add it to your list of stocks. A lot of the easy money has been made already, but it could still pull back. This small-cap name fits nicely on a list, especially in between your large caps and penny stocks. I often write about sympathy plays in my frequently posted stocks to watch list, and KUTV seems to fit this description nicely. Check back for more market news, IPO updates, and alerts on hot penny stocks. Today’s piece is based on the Toys R Us IPO that is expected to price and trade sometime in the near future. In addition to our stocks to watch list and penny stock alerts, we want to give our readers and subscribers a brief background on the company and touch on the current perceived demand, and timing of the deal. Toys R Us is a well-known company and the offering could get decent coverage on cable news networks in the upcoming weeks. We just want to give you the heads up first. 2011 has been a big year for private equity-based IPO’s. Some like HCA Holdings (HCA:NYSE) did well, while others have faded. 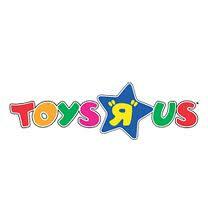 Toys R Us (TOYS:NYSE) was taken private by KKR, Bain and Vornado for $6.6 billion in 2005. Sometime in the near future, the Toys R Us IPO is expected to do $800 million. penny stocks weed This deal was rumored to come a little earlier in the year, but for some reason it never materialized. Despite the vast name recognition, and the perception of a turnaround in the business model, many IPO rating experts are only calling for a slight first-day premium, which surprised some, who expecting was Toys R US to have fast rising stock potential. Maybe that rating is based on the street’s view balance sheet? I tend to agree with the experts about this one not being a screamer, despite the impressive lineup of underwriters being impressive with firms like Goldman Sachs at the top of the list. Still, add this one to your list of stocks. Oddly enough, at this point, Toys R Us IPO looks like a deal that brokerage firms will probably allocate to retail clients.And trust me, that’s not always a good thing. Here is one last tip, experienced IPO investors often shy away from private equity deals. Mainly because in reality, they are on the other side of a firm like Bain or KKR’s sell trade. To make it even more simple, you are buying their stock. Check back frequently, as you can see, we are not some run of the mill penny stock news site. Look for more market news, stocks to watch, and alerts on some of the best penny stocks to buy. The Zynga IPO, as many of you already know, is already being talked about by some, as the most sought after IPO in the last few years. On a pure interest basis, comparisons are to be Google (GOOG:NYSE) are already being made. Especially with the recent demand for other tech related IPO’s. As some of our followers know, we make an effort to highlight some high profile public offerings, and we give color on other lesser known investment banking deals as well, but the Zynga IPO is different, much different from other deals. Recently, some of you have watched tech IPO’s like the LinkedIn IPO (LNKD:NASDAQ) and thePandora IPO (P:NYSE) have huge pops, but only fall back after institutions and IPO flippers came out of their allocations. The reason for the declines of the two stocks mentioned above is pretty simple. Their fundamentals don’t match the market caps for the short term. Short sellers know that even a booster shot buy recommendation from a brokerage firm can only do so much for a stock price. This is why many hedge funds short these deals when borrows become available. Zynga’s IPO is unique though. Look at a company like Pandora, even the CEO can’t tell you when they are going to be profitable. With Zynga, it’s obviously different. Their presence on Facebook is huge and still growing. The revenues are also off the charts already and it’s not unreasonable for some to say that Zynga could eclipse the$1 billion marks in revs in the next couple of years. Zynga’s user base is also extremely loyal even in the competitive gaming space. Games like Farmville, Cityville, and Frontierville keep users coming back. Zynga’s solid brand and management also has something to do with the present valuation talk being in the $20 billion range. Keep in mind that most experts felt Zynga was valued in the $10 billion range at the time of our initial Zynga IPO profile entry. So get ready for the hype to begin as the deal is rumored to trade in the fall. Even though Zynga’s IPO offering will be larger than some of its recent tech predecessors, shares will be extremely limited for retail accounts. In other words, for a deal of it’s size, Zynga will be oversubscribed to epic proportions. So please don’t be disappointed or mad at your broker if you are shutout. do penny stocks ever make money? San Francisco based social networking game developer Zynga is rumored to file for an IPO in the very near future.I has almost 250 million Facebook users and 4 of its most popular games are City Ville, FarmVille, FrontierVille and Zynga Poker. On Tuesday, Zynga just released it’s new game Empire and Allies. A move that some feel is geared towards creating, even more, interest in Zynga’s IPO stock offering. In the past few months we have seen a slew of red hot IPO’s come to market, especially in the social networking space. LinkedIn IPO (LNKD:NASDAQ) was the latest, and despite the fact some are calling for a bubble in the space, it’s probably safe to say that the Zynga IPO will be heavily oversubscribed. 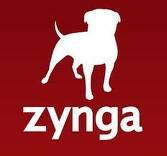 Zynga already has roughly 250 million active Facebook users who frequent their games. The company has also been recently valued in the $10 billion range, and is rumored to have Morgan Stanley and Goldman Sachs in the running to be the lead underwriters. Zynga’s IPO is unique though. Look at a company like Pandora, even the CEO can’t tell you when they are going to be profitable. With Zynga, it’s obviously different. Their presence on Facebook is huge and still growing. The revenues are also off the charts already and it’s not unreasonable for some to say that Zynga could eclipse the$1 billion mark in revs in the next couple of years. Zynga’s user base is also extremely loyal even in the competitive gaming space. Games like Farmville, Cityville and Frontierville keep users coming back. Zynga’s solid brand and management also has something to do with the present valuation talk being in the $20 billion range. Keep in mind that most experts felt Zynga was valued in the $10 billion range at the time of our initial Zynga IPO profile entry. So get ready for the hype to begin as the deal is rumored to trade in the fall. Even though Zynga’s IPO offering will be larger than some of it’s recent tech predecessors, shares will be extremely limited for retail accounts. In other words, for a deal of it’s size, Zynga will be oversubscribed to epic proportions. So please don’t be disappointed or mad at your broker if you are shutout. San Francisco based social networking game developer Zynga is rumored to file for an IPO in the very near future.I has almost 250 million Facebook users and 4 of its most popular games are City Ville, FarmVille, FrontierVille and Zynga Poker. On Tuesday, Zynga just released it’s new game Empire and Allies. A move that some feel is geared towards creating even more interest in Zynga’s IPO stock offering. Megola Inc. (MGON:OB) has something going for it that many other penny stocks don’t. Frequently low priced stock have catalysts that the common investor simply can’t grasp in order to buy the stock. Biotech penny stocks are a common example of this problem. Especially, when the PR’s try to explain products like cancer vaccines. Well MGON claims to help solve a problem that many Americans are concerned with. The problem is the safety of products shipped to the United States. MGON has product line named HARTINDO that is supposed to be as safe non corrosive fire inhibitor. On 10/26/11, Megola signed a Memorandum of Understanding with High Point Enterprises of China for licensing of MGON‘s Fire Inhibitor Coating. As always, you have to be skeptical of PR’s involving penny stocks and foreign companies. However, MGON has rallied sharply today, and shares are currently up 93.55% at 0.006 cents on strong volume. 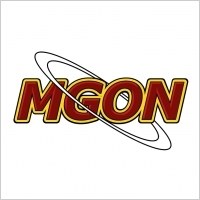 MGON could also turn into a go to trading vehicle for speculative traders every time there is a new flash on defective or dangerous products from China being sold in U.S. stores. With it’s sub penny status offering the potential for large percentage gains. Fundamentally speaking MGON generates 366k in revenues, but only shows 1k in total cash with 87k in debt. The company also isn’t profitable. On a technical basis, MGON has made large percentage moves like today’s as recently as a few weeks ago. So be careful not to get whipsawed in today’s action. MGON‘s chart is difficult to read because the moves have been so choppy. There is some resistance at 0.8 cents and a little more at 0.0085. As far a support goes, 0.0045 seems to be a level where some decent buying occurred, and if all else fails, today’s open of 0.004 cents could be used as a guide too. For now just add Megola Inc. to your penny stock list. Keep in mind that while this is super risky name, the story of MGON could catch on with consumers and receive independent press coverage. Most of us remember the General Motors IPO (GM:NYSE). The much sought after deal, but oddly enough, it’s now trading below it’s issue price. Will Chrysler be sought after and then simply trade flat to down after the sizzle of the IPO is gone ? Chrysler Group CEO Sergio Marchionne mentioned last month that the Chrysler IPO might be moved into 2012. In the past, Marchionne year, he expected the IPO to come in the second half of 2011. However, if this market holds up and demand for new issues continues, Chrysler might want to take jump the gun and graps the advatangeous conditions as soon as they can. What do you do if the Chrysler IPO does trade in 2011 ? We’ll, I touched on how to get deal stock in a prior entry, but if the roadshow goes well, this will be another one of these deals that institutions scoff up like a hot silver penny stock that just found proven reserves. Much of what is leftover after the institutuins get their piece , will go to the largest retail accounts. However, there should be some scraps left for regular accounts. Even if the deal gets hot, but getting IPO allocations is often more sizzle than steak. Let’s assume shares of Chrysler IPO perform similary to GM on it’s first day of trading and Chrysler trades at let’s say for arguments sake a $3 premium. A typical retail account managed by a larger producing broker, at a quality firm, at most, gives a smaller client 500 shares, usually it’s much less if any. And, I am taking the massive size of the potential Chrysler offering into account. Is a $1500 dollar profit that important to you ? Just to do one trade. There are penny stock scalpers who make that every day trading zombie stocks. If you want to play the IPO market on a regular basis with your broker, it’s certainly worth it, That usually happens for clients who particpate in several offerings, and not only taking the good deals, but the clunkers too.However, pressuring him to give you stock in something like Chrysler for a quick one time flip might be more trouble than it’s worth. In that instance, it’s almost like the broker is getting pumped and dumped, and can cause undue pressure on your relationship with your financial advisor. So check out my other IPO blog entry that explains the way the game is played in more detail, and also add Ford (F:NYSE) and General Motors (GM:NYSE) to your list of stocks. They will most likely trade in sympathy with the demand for the Chrysler IPO. Remember, shares of Ford ripped higher in anticipation of the IPO. Please subscribe to receive more IPO updates, market reports and alerts on some of the best penny stocks to buy. As many of you already know, social networking IPO’s have been red hot in the recent months, despite a broader market that has been sketchy at best. Recently, the LinkedIn IPO (LNKD:NASDAQ) and Zillow (Z:NYSE) have made massive gains for investors who were lucky enough to get in at the offering price. IPO investors also have Zynga and Groupon to look forward to in the near future, but even these two major names pale in comparison to the mother load of all social networking stocks. Yes, of course it’s Facebook. Now, here are a few ways to participate in Facebook by using existing equities before it comes public. The first one is Microsoft (MSFT:NASDAQ). MSFT owns stakes in many private companies, so the stake in Facebook really isn’t a surprise. Plus, MSFT has an enormous market cap already. So the Facebook position probably will be nothing more than a blip on the radar. The second company is Mail.ru (MAIL.LON), this is a name that isn’t familiar to many U.S. investors, but the company is also a large one and also probably won’t be impacted much by their impressive pre-IPO position. Mail.ru owns a little less than 2.5% of Facebook. Now the third way to play Facebook makes a lot more sense when you think about it. Plus, the company is a name that most are not familiar with. However, when you look at GSV Capital Corp (GSVC:NASDAQ) it seems to make sense. GSVC is business development company that went public at $15 back in April, and as many BDC’s often do, shares traded down after the offering to below $10 in June. Later in the month, Michael Moe, GSVC‘s CEO and co-founder of ThinkEquity pulled of a major PR coup. Moe announced that GSVC had purchased 225,000 shares of Facebook at a cost of 29.28 per share. To put Moe’s purchase price in perspective, Facebook is worth $87.5 billion at $35 per share, and it has traded at that price on SharesPost. Kate Kelly of CNBC recently reported that Facebook’s valuation could be as much as or even exceed $100 million on the IPO date and that is without counting a first day pop in the stock. So it seems safe to say at this point that Moe made a wise call on the transaction, and shares of GSVC responded trading up to $19.97 after announcing it’s Facebook stake. But, GSVC recently filed to issue as much as $100 million in stock, which is sizable considering that the company currently has a market cap of $52.5 million. This type of impending dilution has obviously weighed on shares of GSVC. But, the purpose of this piece is not to debate Facebook’s valuation or even GSVC‘s for that matter. The purpose is to point out that GSVC will be traded on a momentum type basis leading up to the Facebook IPO. Now if this secondary offering is somehow canceled, due to market conditions, we could see a nice rally in GSVC, solely based on short covering. We could also see pure hype move GSVC higher as it did recently, and the closer we get to the Facebook IPO, the more exposure GSVCwill get, especially if Facebook resets it’s valuation higher or if Moe adds another high profile deal to the portfolio.